In a recent article for Yahoo Contributors Network, Maryam Khan Ansari wrote about how internet postings with anti-Muslim hate messages may soon be subject to federal criminal laws. In her article, Ansari discussed how Bill Killian, the U.S. Attorney for the Eastern District of Tennessee, has plans to use federal civil rights laws to curb hate speech, if the speech is made incident to a hate crime. Killian’s suggestion has angered many Americans, among them leading anti-Muslim activists like Robert Spencer and Pamela Geller. It should also be noted that many Muslims in the U.S. and worldwide are guilty of hate speech and inciting violence against non-Muslims. 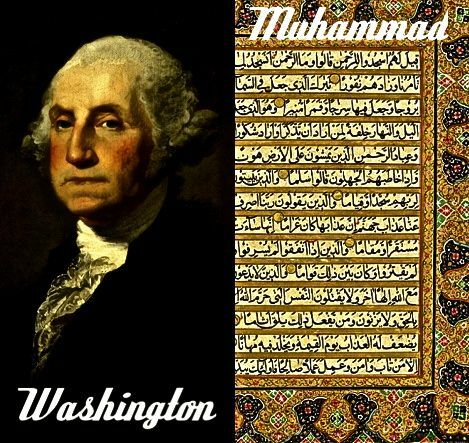 Ironically, however, George Washington, the U.S. founding father, and the Prophet Muhammad, the founder of Islam, were both vehemently against hate speech. As we can see, Washington and Muhammad warned their followers of the dangers of hate speech. In essence, there is no place for hate in the vision that Washington and Muhammad had for their new societies. Americans and Muslims worldwide who engage in hate speech are betraying the very ideals which are dear to their founders.